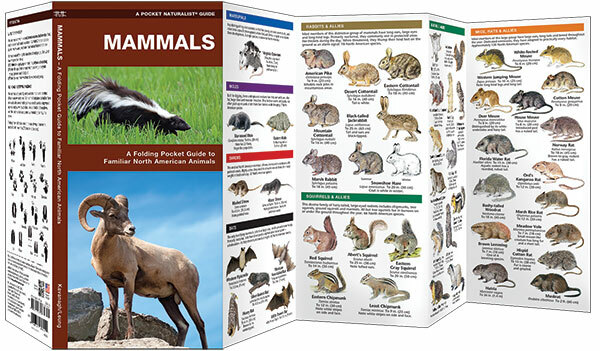 Mammals is the perfect pocket-sized, folding guide for the nature enthusiast. 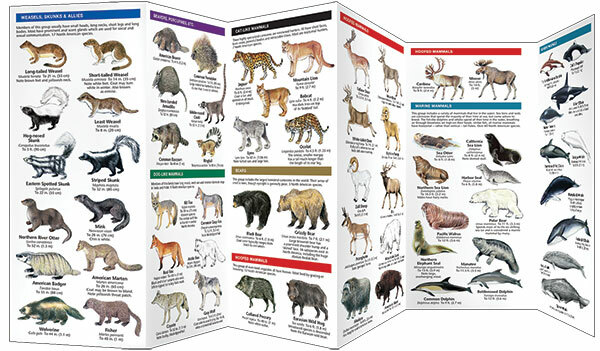 This beautifully illustrated guide highlights over 100 common North American species from shrews and bats to bears and whales. Also includes information on common animal tracks. Laminated for durability, this lightweight, pocket-sized folding guide is an excellent source of portable information and ideal for field use by naturalists of all ages. Made in the USA.